Fort Thomas becomes a music town when the weather gets warm. Tuesday night concerts in Tower Park during the summer, a promised "big headliner band" for the city's 150th birthday celebration in July followed by a Bluesfest in September are just some of the acts that are coming to "the city of beautiful homes." 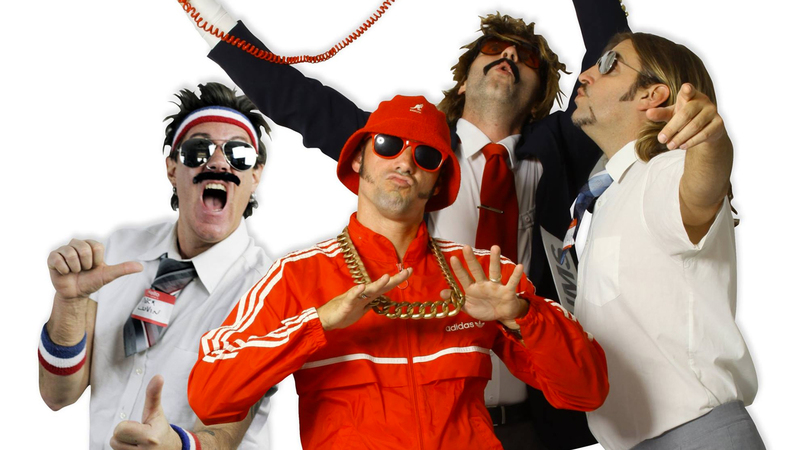 But with a question mark still behind the city's sesquicentennial main music act, it's possible that Friday night's surprise gig by the Naked Karate Girls at the Olde Fort Pub could be one of the most fun nights of the year. "We are all very excited and grateful to be hosting such an amazing and fun band for such a good cause," said Mike Arnzen, one of the owners of The Pub. "Katie Walters has worked tirelessly to put this all together." The proceeds at the door will be donated to Henry Hosea House in Newport, which provides a safe environment for their clients with daily nutrition, support, healthy guidance and social interaction. "The Naked Karate Girls reached out to me at the beginning of year about a possible charity show in northern Kentucky," said Walters, a Fort Thomas resident and Promotions Coordinator for Q102. 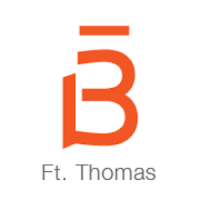 "After working on the event for several weeks, we decided on the Fort Thomas Pub. NKG's drummer, Glen Kukla, graduated from Highlands with me and Todd Hosea, so this gig is very special for us." Todd Hosea's father David, started Henry Hosea House to honor his father. 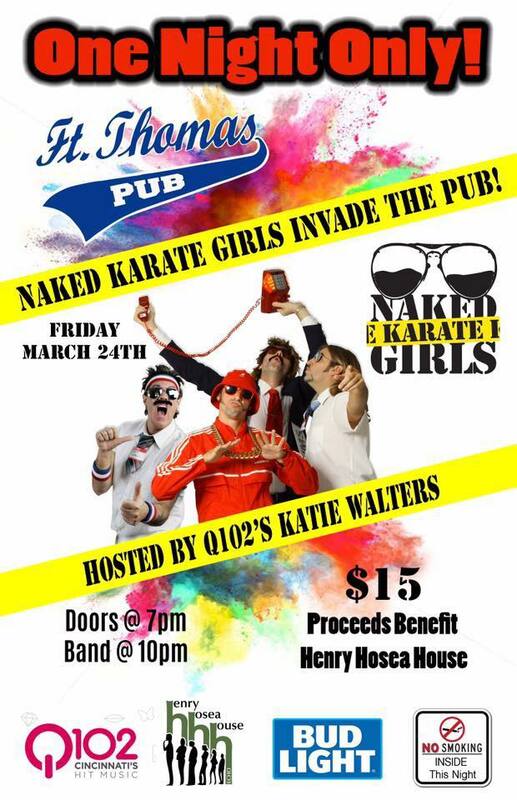 This event for the Naked Karate Girls is special. "The band has a fully booked schedule and normally play large venues," said Walters. "The fact that everything fell in place, makes this event even more amazing. It definitely is a "one night only" gig. A party like The Pub has never seen before." - UK game starts at approximately 9:40 p.m.